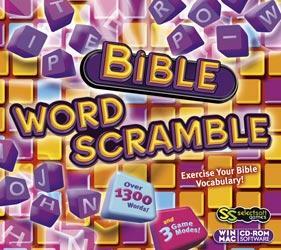 Use your knowledge of the Bible to solve hundreds of fun word puzzles! Unscramble words drawn from the people, places and stories of the Bible and discover an entertaining way to exercise your Bible vocabulary! Plus High Scores, Hints, Music and Sound Effects! Timed - How fast are your solving skills?